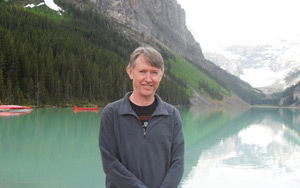 Pannell Discussions » 10 – The White Album » Ideas in economics, environment, policy and more. 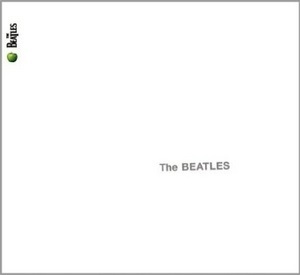 In 1968 The Beatles released a double album which is actually called “The Beatles” but which is universally referred to as “the White Album”, in reference to its stark sleeve art. Less slick than their most celebrated works, and all the better for it, I think it is still the best album ever released. Unlike almost any other album, my experience of the White Album is that it rewards an unlimited number of plays. There is so much of it, and so much of it is brilliant. The album is sometimes described, with a hint of disparagement, as four solo albums, but that doesn’t go close to doing it justice. After all, the backing band on these solo albums is The Beatles, and they were at the peak of their powers. This album marks the start of what must surely be the most incredible 12 months of creative productivity by four musicians in history. Consider this. 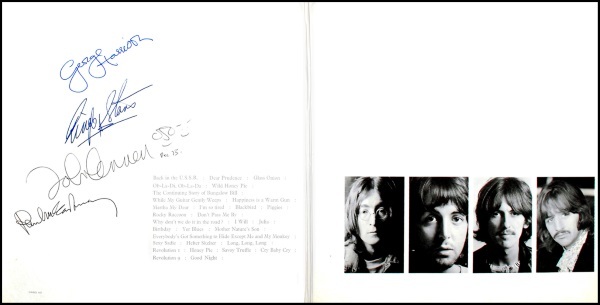 From mid 1968 to mid 1969, they recorded this double album, the Let It Be album, the Abbey Road album, enough additional material for the two CDs of Anthology 3 (a triple album on vinyl), five fantastic singles “Hey Jude”, “Get Back”, “The Ballad of John and Yoko”, “Let it Be” and “Something”/”Come Together” (eight of the ten songs on them appeared not at all or in different versions on the albums), made the film Let It Be, and released the film and soundtrack album Yellow Submarine. In the same period, outside the Beatles, there were five (five!!!) Beatles solo albums recorded or released (one film soundtrack by George and four highly experimental albums, one from George and three from John and Yoko), a landmark single from John (“Give Peace a Chance”), Ringo acted in a major film with Peter Sellers and Paul wrote and produced big hits for Badfinger and Mary Hopkins. As well as all this, they wrote quite a number of songs that turned up later on solo albums. And in the middle of all that, two of them got married. John’s wedding was staged as a protracted media circus as part of his campaign for peace. They did all this in just barely over one year, and it was a year when they weren’t always getting on well. It’s not as if this extraordinary productivity caused the quality to suffer either. Not all these outputs are classics (the solo experimental albums are pretty hard to listen to in fact) but much of the year’s output stands among the best music ever made. It is interesting to compare this output with the usual release schedule of major acts these days. For example, through the 1990s, U2 released three albums, for an average of about five songs per year. An average of 15 tracks per year is extremely high, probably reached by only one or two major artists. The Beatles’ efforts in this incredible 12 months spawned over 110 tracks that were released at the time or subsequently, not even counting their non-Beatles work, and not counting the unreleased Get Back album, or its relative, Let it Be … Naked, which finally saw commercial release in November 2003. Posted on 26 July, 2004 by David Pannell. This entry was posted in Music.